These uncommonly comfy sandals give feet blissful relief, thanks to a shock-absorbing yoga mat memory foam footbed. 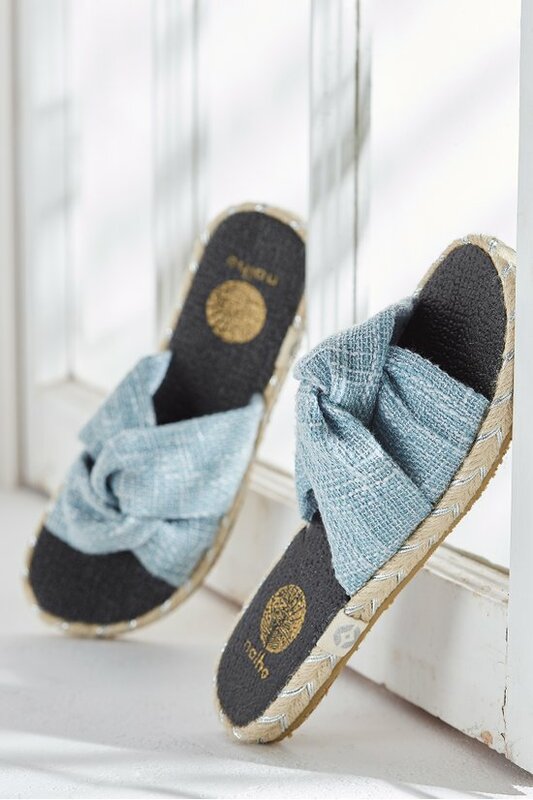 Textural woven linen adds a stylish twist and espadrille-style jute outlines the outsole of these lightweight slides. 3/4" heel.